(TibetanReview.net, Oct31, 2016) – The National security advisors of India and China are to meet in Hyderabad in the first week of Nov 2016 for an informal consultation on all issues affecting bilateral relations, reported India’s PTI news agency Oct 29. The two sides are expected to take up with each other both recent adverse developments in their relations, including China’s blocking of India’s move to join the NSG (Nuclear Suppliers Group) and to bring UN sanctions on Pakistan-based terror mastermind Masood Azhar, as well as long term concerns. The report cited officials as saying Ajit Doval and his Chinese counterpart Yang Jiechi will meet for informal dialogue on the state of bilateral relations, especially the irritants bedeviling the development of ties. India is expected to take up with China the latter’s blocking of its admission into the NSG and its second technical hold on New Delhi’s move to bring about a UN ban on the JeM chief Azhar. India has also been protesting over the $46 billion China-Pakistan Economic Corridor (CPEC) being laid through the Pakistan-occupied Kashmir (PoK) claimed by it. India is also expected to take up the ballooning trade deficit which according to Chinese officials touched over $51 billion last year in the little over $70 billion trade between the two countries, the report noted. China, on the other hand, has been apprehensive about the movement to boycott Chinese goods in India in response to its support for Pakistan vis-à-vis India, the visit of US ambassador Richard Verma to Arunachal Pradesh, as well as New Delhi’s clearance for the Dalai Lama’s visit to the state, which it claims is part of southern Tibet, in Mar 2016. China is also said to be seriously apprehensive about its perception that India is moving closer to the US and Japan, broadening its strategic and defence ties with both the countries. 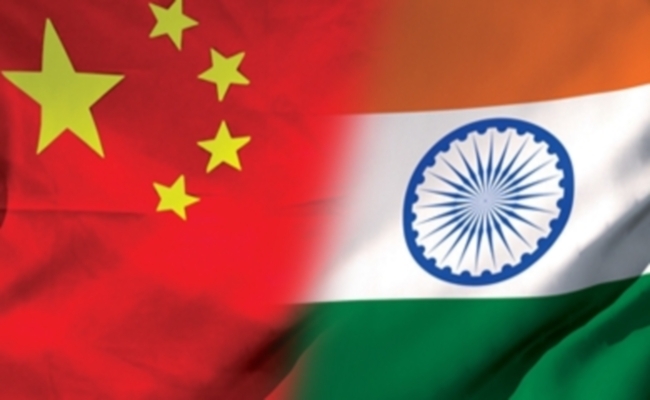 Doval and Yang are the designated special representatives for the India-China boundary talks; they also periodically meet to discuss the whole gamut of the Sino-Indian relations, the report said. Officials were cited as saying the Hyderabad meeting will not be a representative dialogue on border but an informal consultation on all issues, including those relating to the borders.